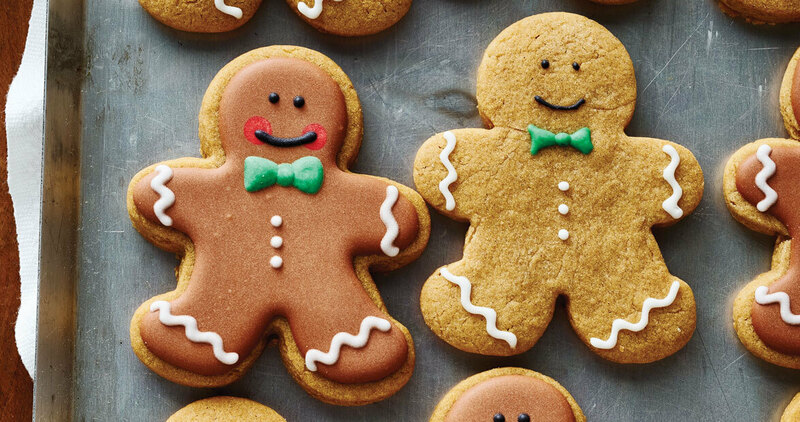 An investigation into our favorite person-shaped cookie reveals that gingerbread’s history is closely linked to our own. The history of food is sometimes more delectable than the food itself. Gingerbread is like that. As good as it is to put in your mouth and eat, gingerbread’s literary, historical, and cultural legacy is infinitely more tasty — and I say this as a fan. I love gingerbread. Rarely have I been more sick at heart than when I’ve left gingerbread cookies in the oven too long and they’re burned on the bottom, rendered inedible; worse yet, I try to eat them anyway. But gingerbread is so much more than a cookie — and also much less. First, some history. Western civilization does not exist because of gingerbread, but wherever there’s civilization, gingerbread can be found close by. It’s like a remora attached to a shark. The ancient Greeks and Egyptians used it for ceremonial purposes. In 2000 B.C., rich Greeks would sail to the Isle of Rhodes to buy it. The Romans made honey cakes out of it, sometimes in the shape of little hearts that lovers would exchange. And on and on it goes, the story of gingerbread, a story full of Armenian monks, Crusaders, Swedish nuns, treacle, the French, the Italians, the Germans, the Dutch, Queen Elizabeth I, Shakespeare, The Nutcracker, and, of course, Abraham Lincoln. The takeaway here is that people have been eating some form of gingerbread for a long, long time. But this is only part of the story. It avoids a delicate issue, which is this: Gingerbread is not what it appears to be. It’s essentially deceptive and misleading as a food, and we’ve all been duped because it just tastes so damn good. North Carolinians: Don’t let gingerbread fool you. Just as Miracle Whip is not miraculous, Bacon Bits don’t have meat in them, and Pringles aren’t really potato chips (they’re actually the offspring of a boomerang and a Frisbee), gingerbread is many wonderful things, but bread it is not. Case in point: No one makes sandwiches out of gingerbread. That’s a generalization broader than the Mississippi River and most likely false — somebody probably has made a sandwich out of gingerbread, or thinks they have. But the person who does this thinks two pieces of anything with food between them is a sandwich, which is only technically true. And who wants to eat a technical sandwich? Gingerbread is a supremely delicious cake. It’s the best cookie. But it’s not bread. Gingerbread is that rare food that has transcended its essential nature to become something bigger than food, even better than food: It’s become literature. I am thinking now of gingerbread men, women, and children, those humanoid cookies with stubby hands and feet — especially the gullible and foolhardy Gingerbread Man, who brags endlessly about his ability to evade capture, but who is eventually eaten by a fox. I am thinking of Hansel and Gretel and the witch who lives in a house made of gingerbread — a cannibalistic witch, who uses the house to lure the children inside. O Gingerbread! So sweet to eat, but your stories are so dark and grisly. But put all of that out of your mind. Christmas is here, and it’s time to make our own gingerbread houses. In Asheville, at The Omni Grove Park Inn, and in Chapel Hill, at The Carolina Inn, there are gingerbread-house-making contests, and you should see the entries — they’re beautiful, architecturally sound, and 100 percent edible. That’s why gingerbread has been here since the beginning of recorded time, and why it will never go away. Gingerbread’s not just one thing; it’s everything.